No. 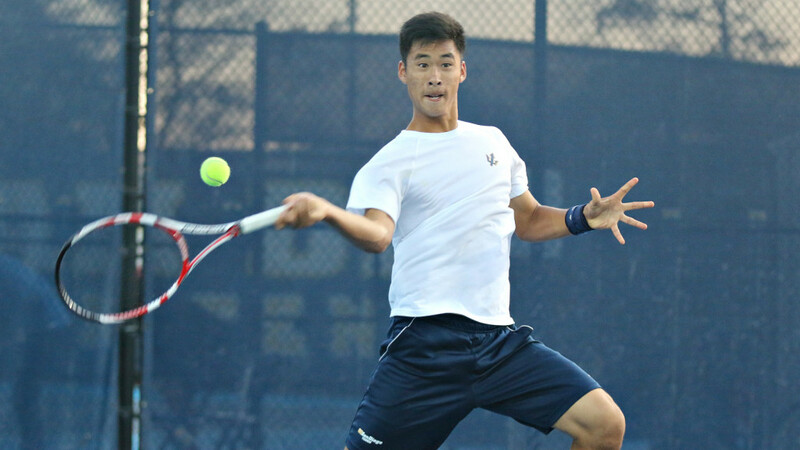 17 UCSD took on Division-I, fourth-ranked UCLA on Thursday at the Sunset Tennis Courts in Los Angeles. The Tritons were overwhelmed by the Bruins’ firepower and fell 7–0. UCSD dropped to 13–8 while the Bruins picked up their 12th straight win and improved to 19–2. The No. 1 singles was the most disputed match of the day, as Eric Tseng pushed Martin Redlicki of UCLA to the brink of defeat. Tseng lost the first set 6–3, but fought back in the second and evened the game with a 6–3 win. Going up against the 45th player in the nation, Tseng continued to push in the third-set super tiebreaker, but fell just short, 11–13. UCSD lost all other five singles in straight sets. At the two sport, No. 58 Gage Brymer from UCLA defeated Alexandre Miaule 6–2, 6–4. Rodrigo Amaral lost 6–4, 6–2 at the two spot, Horea Porutiu fell 6–2, 6–3 at the four and Richard Han was defeated 6–2, 6–2 at the five. Finally Riku Hashiyada could not do much at the sixth spot, falling 6–2, 6–1. UCSD was also defeated at the No. 1 doubles, after Miaule and Porutiu fought tooth and nail against Joseph Di Giulio and Karue Sell. The final score was 6–4. The Tritons stand at 17th in the nation and No. 2 in the West Region. UCSD has one more regular season game coming up when they host Claremont-Mudd-Scripps on April 30. UCSD rowing competed at the 50th Kerr Cup Regatta in Philadelphia. The second Varsity 8 boat led by cox Lily Ouyang, Kevin Chang, Micah Adelsohn, Gibb Anella, Anton Hedayat, Carson West, Jason Germain, Nick Baltar and Sam Merrill-Palethorpe took second, while the Varsity 8 boat led by cox Isa Batki, Sean Callaghan, Tynan Rodger, Scott Kennedy, Gabriel Lane, Sam Calvert, John Buda, Hank Wong and Alec Petty finished fourth in their respective grand-final races. UCSD qualified for the 2V8 grand final after finishing second in its heat race behind Drexel. The Tritons improved on their time in the grand final, but it was not enough to overtake Drexel, which finished in 5:49.52. Big Blue took second in 5:58.99, ahead of the like of St. Joseph’s who came in third in 6:01.75, Delaware (6:06.31) in fourth, West Point (6:08.81) in fifth and Gonzaga (6:09.24) in sixth. In the V8 race, UCSD was second in its heat with 5:50.80, behind Delaware, which won the heat in 5:48 flat. Drexel was again the winner in the V8 race, coming in in 5:41.88, in front of Delaware (5:47.77) and West Point (5:50.74). The Tritons just missed out on the podium and finished fourth in 5:51.78, while St. Joseph’s (5:56.00) came in fifth and Gonzaga (6:02.06) finished sixth. 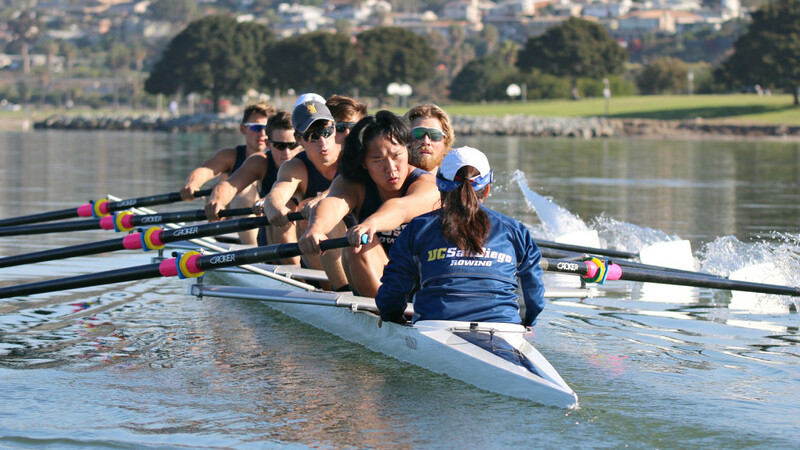 UCSD will compete next at the Western Intercollegiate Rowing Association Championships, from April 30 to May 1 at Lake Natoma in Rancho Cordova. The Tritons will try to repeat last season’s exploits when the 2V8 won its grand final. Here’s a link to the video of the match between #1 men’s singles.